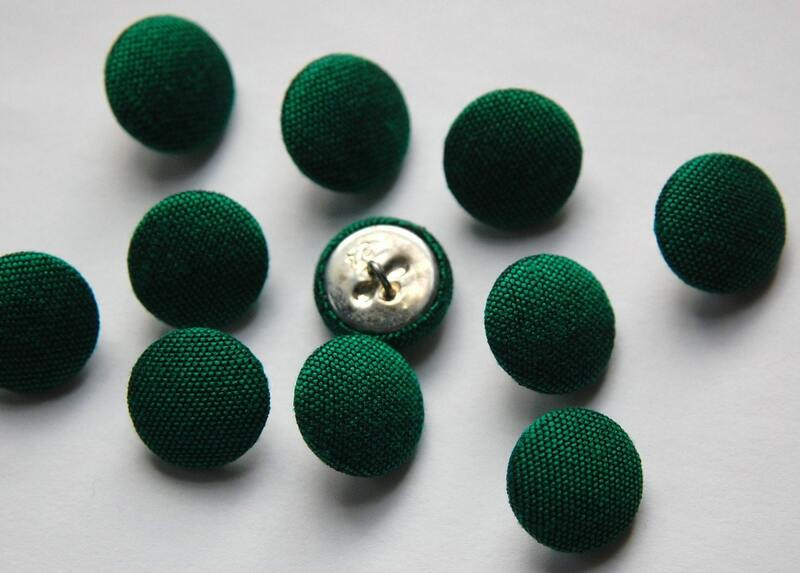 These are green silk fabric covered buttons. They have a metal back and shank. These measure 15mm. You will receive 6 buttons.